On Thursday, April 28, the students of Professor Corinne Demas’s English 303 short-story writing seminar will launch the 11th edition of the Blackstick Review. 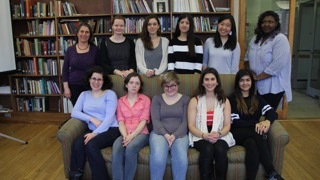 Founded in 2004, the literary journal is the culmination of my classmates’ hard work over the course of the semester. This year’s Blackstick Review features 11 stories that represent our best writing. The stories are diverse in subject and style, and explore the many incarnations of the short story. Reading through our magazine, you could eat pie with an abandoned woman, spend years with a Southern couple, or a night with a drunken waitress. One story is told on a smartphone fitness tracker. The impossible reality of subjects like refugee crises and child abuse are tackled using experimental formats. Throughout our seminar, we critiqued and edited one another’s writing. We created many drafts and revisions of our stories. We also read the work of some of the greatest short story writers, including Poe, Hemingway, Welty, and Mansfield. While short stories can be told traditionally, with a clear narrative arc and realistic style, we also learned that a story can read like an oral tale, oozing with gothic drama. Short stories can be sparse and dialogue-driven, or saturated with a character’s rambling interior thoughts, or written like a long-form math problem. Most importantly, we learned that a short story should captivate and entertain the reader. We hope that this is the case for anyone who picks up the 2016 Blackstick Review. Students in Professor Demas’s course can choose to participate in organizing and publishing the journal itself. All 11 members of our class chose to participate this semester. We learned to create a print and online publication from scratch. We knew this endeavor would mean extra work, although most of us began the course blissfully unaware of the hours we would spend agonizing over paper grade and font choices. We took photos, picked the printing press, and made heart-wrenching decisions about binding (spoiler alert: we went with tape-bound). The result is a true labor of love. The selective group was a space for upperclasswomen to encourage one another as writers as they read and critiqued each other’s work. Though the group never actually published a journal, nomination to it involved a strict set of criteria, including having been published in the student newspaper. The group had brushes with literary giants. Its original mentor, writer Margaret Sutton Briscoe Hopkins who lived in nearby Amherst, counted Mark Twain as a friend. 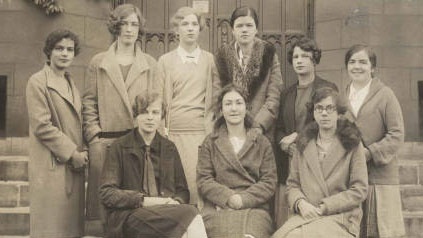 During the 1937–1938 academic year, Blackstick members hosted a dinner with T. S. Eliot. The organization disbanded in 1961, for reasons unknown. Ready to be captivated and entertained? While our class this semester operated in a slightly less star-studded realm, the students of English 303 continue the original Blackstick group’s literary tradition more than a century later. 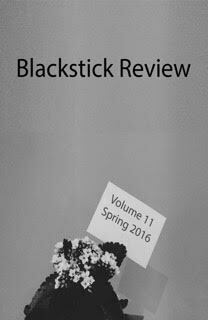 We will read selections from our work at the Blackstick Review launch party this Thursday, April 28, at 4:00 pm, in Shattuck Hall’s Cassani Room. Photo at top is of the 1929 Blackstick organization; photo above is of the 1924 Blackstick organization. 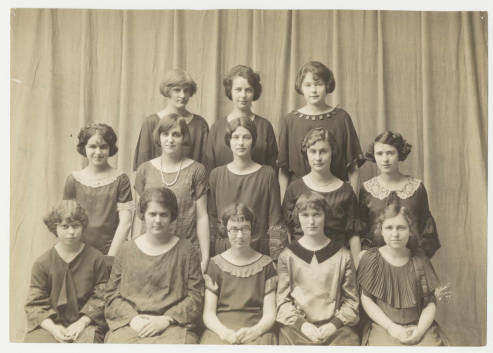 Both photos are courtesy of the Mount Holyoke College Archives and Special Collections. 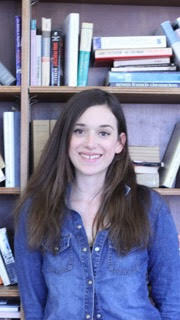 Clementine Amidon is a Frances Perkins Scholar and senior at Mount Holyoke. She was born in London, England, although she currently lives in South Hadley with a 3-year-old human tornado named Dominic. Amidon majors in English and minors in French. She is an avid writer of fiction and nonfiction, and her work has appeared in publications such as USA Today and the New York Observer. She hopes to continue writing for pleasure and the occasional paycheck.